Did you know that some vegetables are even better after a frost? 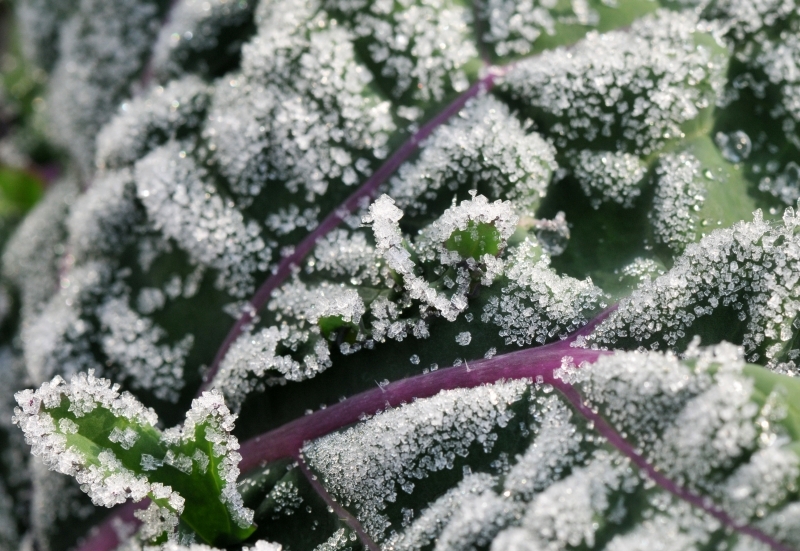 If you are familiar with this fact then you’ve probably heard about the frost tolerant kale and brussel sprouts becoming even sweeter after they’ve been frosted. This is because they react to the cold conditions and frost by turning starch into sugars to prevent the water in their cells from freezing - a botanical anti-freeze! So when that deep chill creeps up on us in late fall, do not fret because there are several veggies that you can look forward to trying after they've been frosted. This includes, kale, brussel sprouts, leeks, celeriac, turnips, beets, carrots and the notable parsnip. Not only did we leave some organic parsnips in the ground a little late last fall, we left them underneath the soil for the whole winter and just harvested them this week! This is called "overwintering". Imagine how much sweeter they must taste now! We grow these particular parsnips for Chef Albert Ponzo at Le Select. Here's what he has to say about them. They definitely taste sweeter. They are amazing. We use them for a purée with apples for a beef cheeks dish and we will use them simply roasted served with pressed and seared boudin noir. Though you don't have to be a chef to make them taste good - You can simply roast them in a pan and enclose in tinfoil to keep in the moisture. If you grow your own vegetables, I strongly suggest you give the frost a chance! And for those who go to the farmers' market, ask your farmer late fall which veggies have been touched by a frost, and try the sweetness out for yourself!